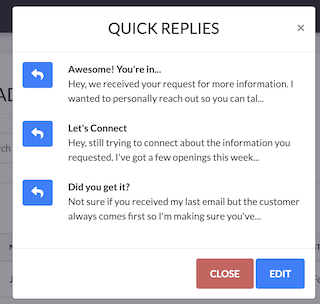 How can I use Quick Replies? Click on the Lead List in order to view the leads that have been collected. 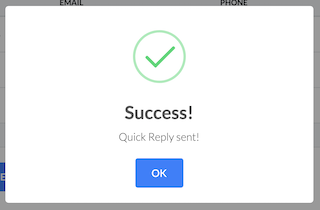 Once there, click on a Lead you would like to send a message to and click on the curved error. Click on one of them and an email message will pop up with the text of the message, using the lead's name and email address and your signature. Once you click on OK, you will be sent back to your Lead List.